MICF 2014: Lindsay Webb – What’s Your Name, What Do You Do? The title of this show should give away the premise, forewarning the audience that this will be quite an interactive show. After a brief introduction and some witty throw-away jokes, Lindsay Webb lulls the audience in to the sense of safety and security which is all but mandatory for a show that requires us to be relaxed and happy enough to reply to his inquisitions without hesitation. What’s Your Name, What Do You Do? is either spectacular improv or a seamless display of well-honed and rehearsed one liner responses to the most common of answers to his questions. Regardless of which it is this aspect of the show appeared effortless and flawless, with Webb showing that he was as relaxed with what he was delivering, as we were to hear it. In the last twenty minutes, Webb drops his guard and lets us in to his world. He recounts an event which clearly panicked him at the time, or at least played upon his paranoia, and had the audience on the edge of their seats, listening to every detail. This brilliant tale brought forth a multitude of laughs from the crowd, particularly at Webb’s guilt, and while his pain was obvious, sometimes that’s the hit you need to take for your art. Even though the show I attended had a disappointing turnout, there were no awkward silences and Webb had everyone in the room laughing hard. The fact that he was able to get so much from such a small crowd speaks volumes in and of itself for the quality of his work. What’s Your Name, What Do You Do? is a brilliant hour of comedy. It is a beautifully choreographed play on words expertly delivered to the standard that one would expect from a comedian as seasoned as this nine year veteran of comedy. Lindsay Webb is performing at the Downstairs Lounge at the Swanston Hotel until April 20th (not Mondays). For more details and to book tickets, click here. Steele Saunders’ comedy podcast is an interesting concept and one that is not too hard to get behind. I love Green Guide Letters is, put simply, about complaining and having a go at people who love to complain. There have been a number of regulars appear over the show’s lifetime, both as contributors to the Green Guide letters and as guests making an appearance. There was even a road trip to meet one of the most proliferous letter writers at his retirement home to do a live, on-site recording. This podcast is a brilliant chance to hear some of your favourite comedians sit and chat for about twenty minutes before going on to attack the Green Guide for content. Occasionally Saunders raids the Green Guide archives and brings a classic letter to the fore. My personal favourite was the Glenn Robins episode where all of his characters were routinely assassinated by the letter-writing public. Seeing the fanbase that his podcast was gaining, Saunders was among the first to begin a live podcast recording tradition during comedy festivals. Now it is not surprising to see live podcasts every year at the Adelaide, Melbourne and Brisbane comedy festivals. 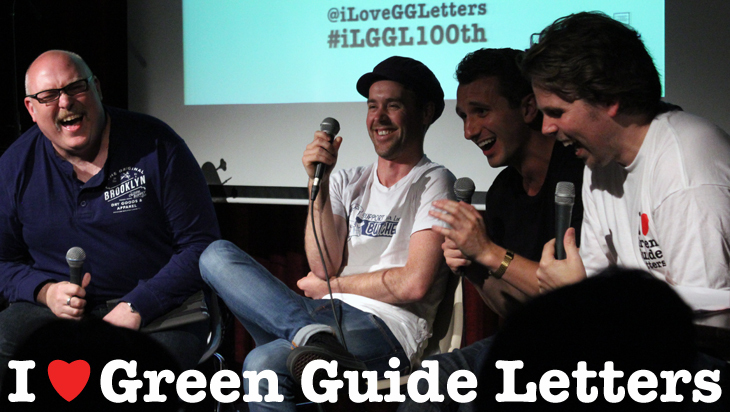 I love Green Guide Letters is not for everyone but it is a great opportunity to meet the creators and the guests, many of whom bring some of the biggest laughs at the festival. The best part is if you can’t be there, or even if you are there, you can listen to it later and enjoy the hilarity that ensues. I love Green Guide Letters is recorded live every Saturday throughout the festival at the Downstairs Lounge of the Swantson Hotel. For details and to book tickets, click here. All live recordings and episodes can be found on the podcast website. Steele Saunders also has a solo show at the festival – check out The Laughing Kiwi’s review here. Between his very popular podcast I Love Green Guide Letters, the comedy rooms he runs around Melbourne and from his fabled appearances on Channel 10’s Studio 10, Steele Saunders is becoming a very popular name in the Australian comedy scene. But this year, this well seasoned performer lets down his walls. For an hour, we are transported to Rosebud, a rich, timeless gem of a small town which lives in the shadow of its big neighbour, Melbourne. From an ill-fated hovercraft to the simple nicknames kindly and lovingly bestowed upon the residents by each other, this town reeks of repressed failure. We get introduced to the locals and hear about all the sights, which include mini golf and that special white box on the pier. Saunders takes us behind the scenes of the worst night in his life, the lead up to it and the sobering days after. He delves in to the reality that comes with the fun of being young and doing what people do in small country towns. We hear of tall tales that come with boys being boys and the discovery of the small things in life, like when it’s important to keep your knees together and what photos might “poop” up in your future. It’s important to note that this show touches some very serious topics and often looks at the funny side of it so those with particular sensitivities may choose to steer clear of this. 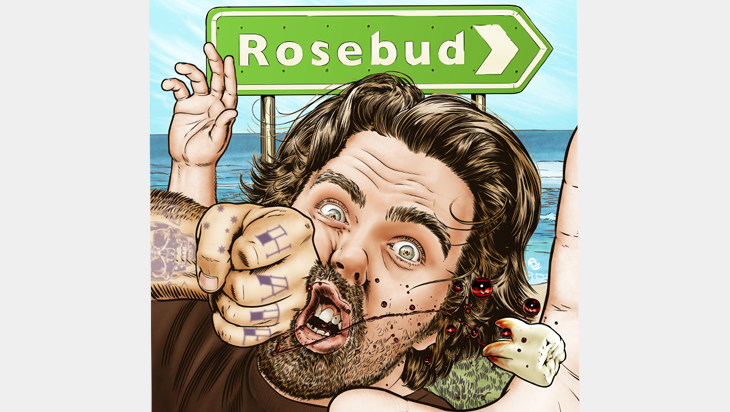 However if you’re hardened to reality, and are prepared to see a man bare it all for comedy, Rosebud simply cannot be missed. Put simply, this show is brilliant. It is perfectly assembled, eloquently articulated and a little bit embarrassing. 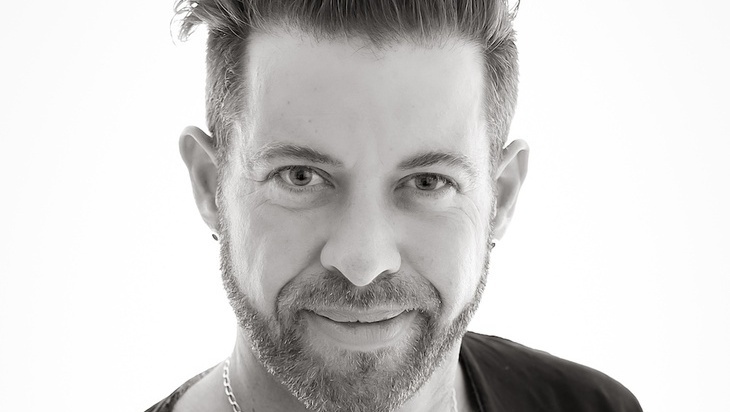 Steele Saunders will be performing at the Imperial Hotel until April 20th (not Mondays) – click here for more details and to book tickets. Saunders is also at the Downstairs Lounge of the Swantson Hotel every Saturday throughout the festival recording a live episode of I love Green Guide Letters – for details and tickets to this, click here. The Laughing Kiwi also attended this – check out his review.